Pinsent Masons has announced the appointment of three new partners in Dublin, bringing the total number of partners in its Irish office to seven. Garret Monaghan, Kevin Collins and Ann Lalor will join the energy & projects, real estate, and financial services teams respectively. The appointments build on the momentum of the international law firm’s expansion into Dublin in March, having hinted since late 2016 that it would consider moving into Ireland in the wake of the Brexit vote. Mr Monaghan, formerly of DWF and Arthur Cox, has particular expertise in the development, acquisition and financing of renewables with extensive energy trading experience. He will work with Belfast-based partner Richard Murphy to present and deliver energy advice on an all-island basis. Mr Collins joins from Eversheds Sutherland and will build out the property and real estate practice in Dublin. He has experience in both national and international firms with a focus on commercial property, encompassing transactional work in real estate, energy, retail and leisure. 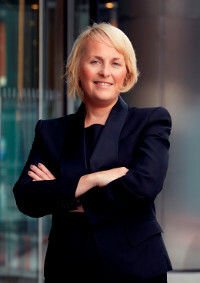 Ms Lalor joins from Whitney Moore as a banking partner with experience acting for Irish and international banks and financial institutions, mezzanine lenders, private funders and corporate borrowers across real estate and construction, transport, retail, natural resources and energy sectors. Gayle Bowen, head of the Dublin office, said: “The rate at which we are growing our team with highly skilled, sector-focused, senior lawyers is a further signal of our ambition in Ireland. When we launched in Dublin the initial focus of the Dublin office was on the financial services and technology sectors. Our latest hires broaden our local offering to all five of the firm’s global sectors, bringing expertise in energy, infrastructure and real estate as well as building out our financial services capability and bolster our international sectoral bench strength.